The New Year brings a fresh start and like many, you likely made a few resolutions. Resolutions are great ways to set your mind towards a goal and better yourself. As an independent travel agent, some of your resolutions likely revolve around creating a larger client list and increasing your sales. 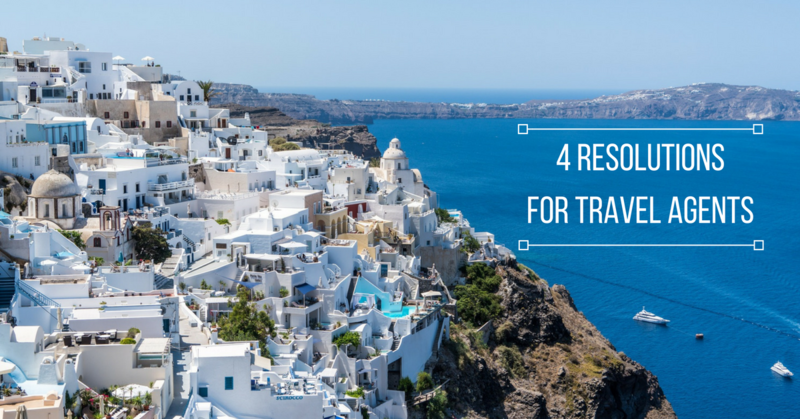 Here are 4 resolutions for travel agents that will ultimately help you achieve those goals as well! As a home-based travel agent, there’s no harm in continuing your education through training events. In fact, you’ll actually benefit from it. Not only will you make connections with other agents who could refer you down the road, you’ll also stay at the forefront of the industry making you a go-to travel agent. Bonus: With Outside Agent Link, all levels of travel agents get access to Travel Leaders meetings as well as training events. If you’re not using social media already, or if you’re just using it sporadically, consider making it a bigger part of your process. Social media is a great way to help show potential clients your personality as well as showcase your knowledge of the travel industry. Bonus: We want you to be as successful as possible. Here are a few ways your travel agency can use social media effectively. After all, you likely got into the industry because of your desire to share your love of travel with others. Don’t let life and work get in the way of enjoying your own passion of traveling. Have you always dreamed of going somewhere exotic? What about a simple escape to a nearby town? You work hard as a travel agent, so treat yourself to trips that will keep you inspired to plan amazing trips for your clients. Bonus: If you specialize in planning trips to specific destinations make it a goal to visit that destination in the new year. You may already have familiarity with the location from previous trips there, but it never hurts to refresh your memory and take a break from the daily grind of travel agency life! It’s easy to get lost in the planning and ultimately fail in making connections with your clients. In 2017, aim to look at things from a wider lens. This will help you keep from getting bogged down in planning and will ensure you’re making valuable relationships with all of your clients. Better client relationships will mean more referrals and most likely an increase client retention. Make 2017 your best year yet with these resolutions for travel agents!